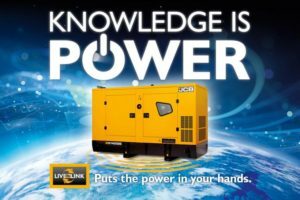 JCB Generator LiveLink puts the power in your hands. Data and insight keep productivity high to keep the power on! With JCB LiveLink you get real-time information that keeps you in complete control and lets you monitor and manage your power generators remotely via a PC or smartphone. The key to improving profitability and efficiency is knowledge. 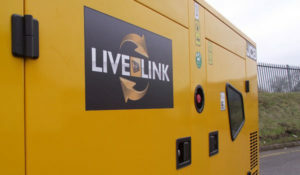 JCB LiveLink improves productivity, maximises uptime and make it easy to manage the health of your generator by providing essential operational data. The most up-to-date information about how your generators are performing or where they are located becomes even more critical when it comes to making the right decisions. The more knowledge you have to generate uptime, the better value for money your generator delivers. Monitor and manage one generator or an entire fleet. With a simple single access portal and no limit to the amount of data that can be stored, LiveLink provides all the information you need to efficiently manage your power generators. Whether you have one generator or an entire fleet, LiveLink can provide a powerful reporting tool. To view our Knowledge is Power newsletter, click here.